Check out this beauty! 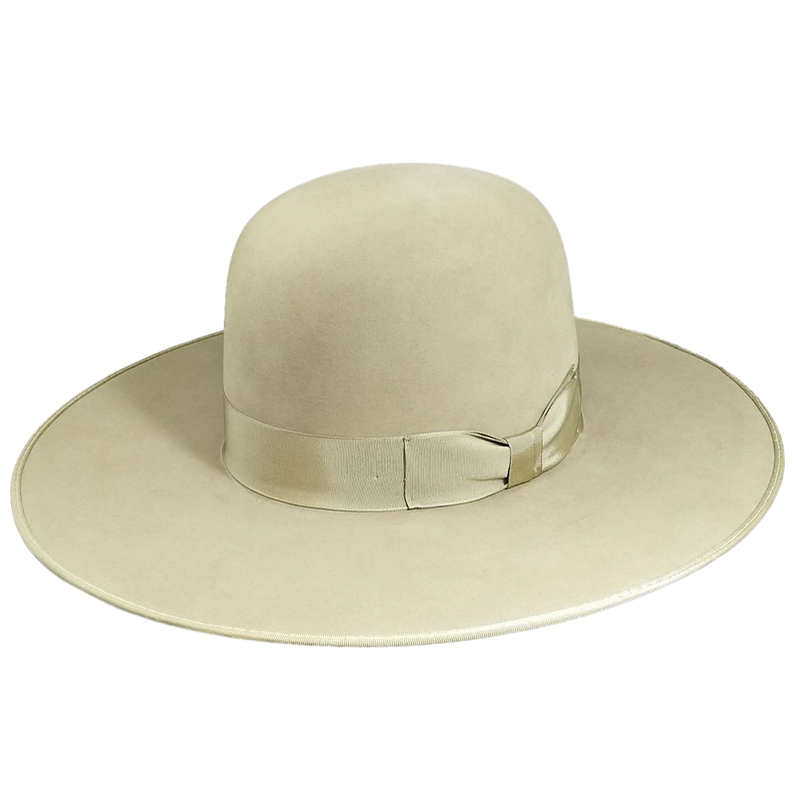 With an open crown and flat brim, this Sale Hat is ready to be shaped in any way you'd like. Silverbelly bound edge and 16 line Dress Bow.